Heathrow Terminal 2 (reopened as “The Queen’s terminal”) is one of my favourite London terminals to fly from. It is big enough to warrant lots of beautifully displayed designer shops and yet is far emptier than most of the other big airport terminals with short passport control queues. My annual priority pass card (which you can get for £35 a year from https://www.prioritypass.com) gets me and a guest into the invitation only Plazza premium lounge for £15 each on showing the digital card on my iPhone (free to all members) or the physical card. You can also get two free entries on your first year of an Amex gold card (first year fee waived and 20k points bonus). Unlike some UK lounges available with the card, if you aren’t on a Priority club or credit card scheme you can’t pay per use for this lounge. This means you never get turned away because it is full and it is never overrun by noisy families increasingly paying Easyjet a supplement for one off lounge access at Gatwick airport as part of Easyjet’s unrelenting cross-sell and up-sell strategy. 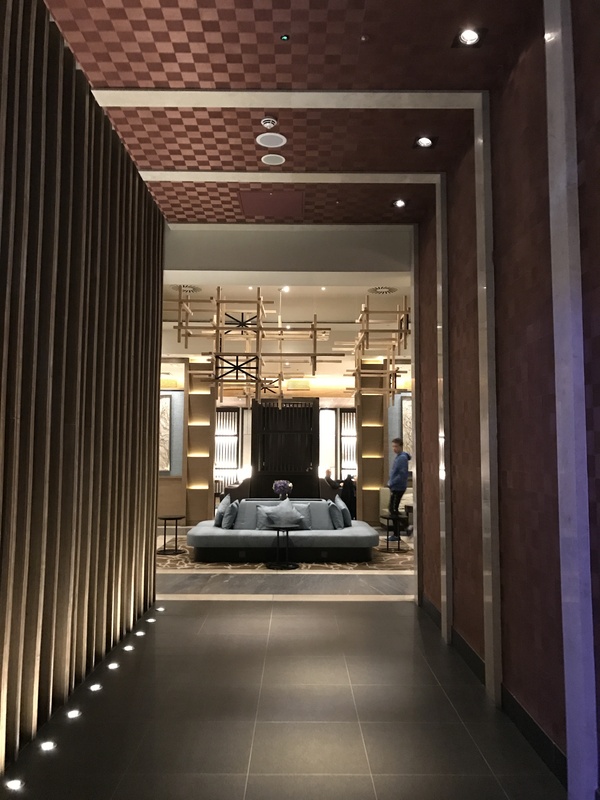 The entrance and bar area are stylish and worthy of many good hotels and the lighting is low and relaxing. The shelves are well stocked with quality newspapers. The inclusive buffet varied during the day but in the morning it has very nice cooked English breakfast, croissants, yoghurt and fruit selection. The coffee machine amuses everyone as it whirs for ages but is worth the wait as it makes a good cup of coffee. 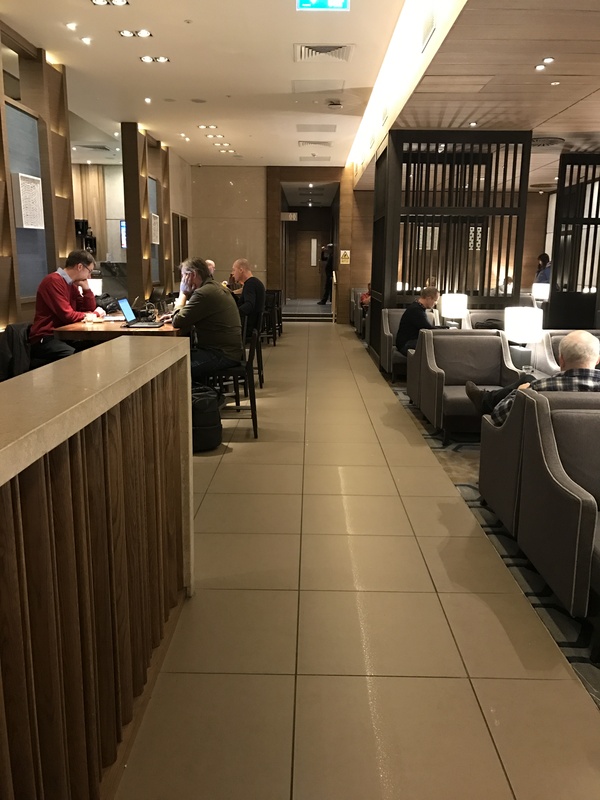 I would often have breakfast at the airport anyway and so the £15 lounge access for breakfast, unlimited coffee, alcoholic drinks if you can drink them that early (I usually can’t but have been known to have a Bloody Mary for a mid morning flight!) and newspapers is not at all over priced. After leaving the oasis of calm, the gates are just a 5 minute walk away. Seating choices in the lounge vary from comfy sofas to a communal table with bar stools for laptop users and a lounge area with TV.